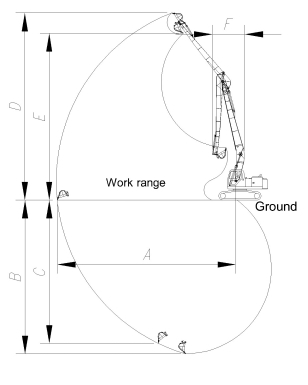 1, We can customize the long reach boom for all kinds of excavator as per your request. Operation scope 13 meters to 32 meters. 2, Long reach boom are used for dredging rivers port construction, railway construction and groundwork construction, with high extensive operation scope, high efficiency and high security. 5, Made by high strength steel plate. 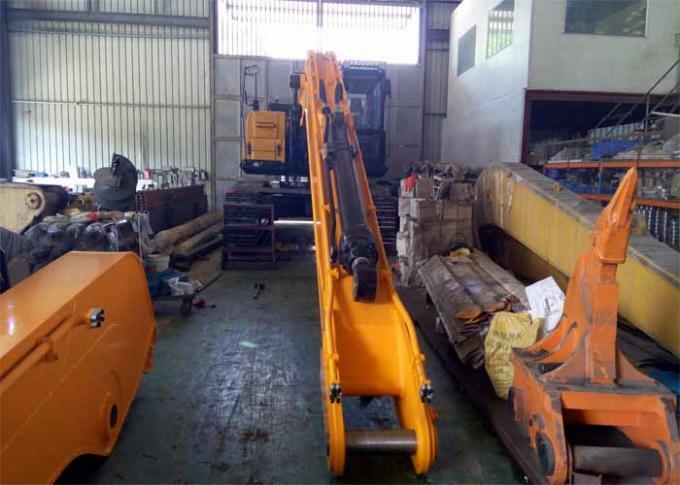 6, Our company established on years 2006, we have over 10 years experience in designing and customize the long reach boom for all brand excavators. 7, This long reach boom include lubricant pipe system, hydraulic system, 1 bucket with 1.1cbm, 1 linkage, 6 pins and 4 hoses. 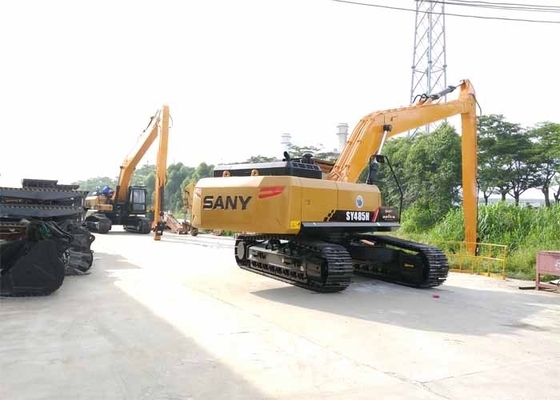 8, As customer request, stick cylinder and bucket cylinder of this long boom use Sany original cylinder, but if you need we prepare it for you, also no problem, we can make it. 9, If you need, we can add extra pipeline for you, to suit some extra application. 10, Our welding was by maual. Welding is protective-gas welding, the protective gas is 80% Argon and 20% CO2 mixed. This is golden standard for protective gas. 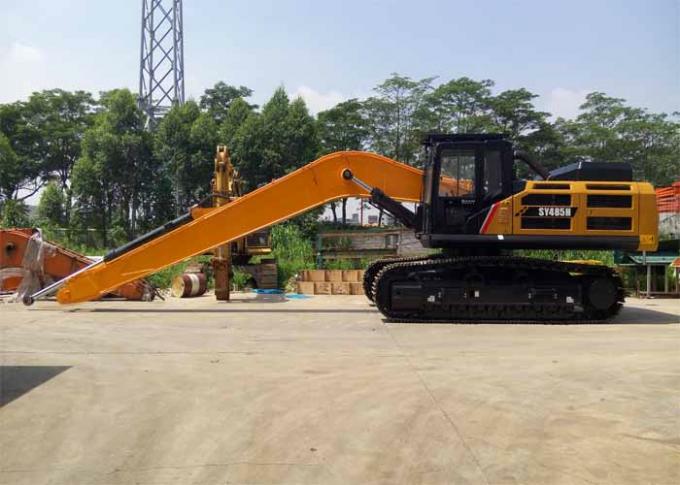 11, The main material of this long boom is Q345B + Q690D, the top and bottom cover plate use Q690D, other place use Q345B. 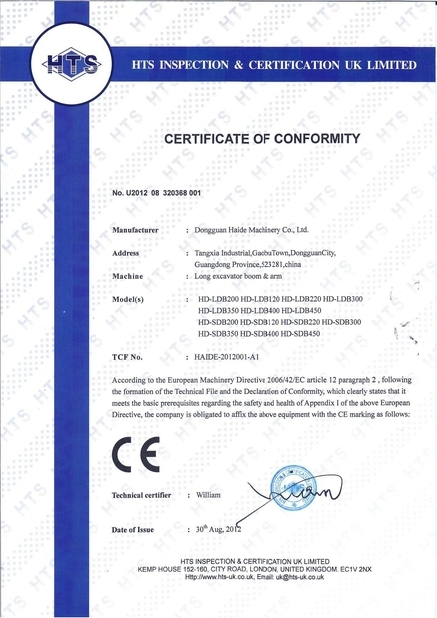 Pin’s material is 42CrMo4. 12.Some parts can be consolidated using thicker plate or overlapping another plate for heavy-duty application. 13, Before welding, we have use big edge milling machine mill(taper process) the edge of the sheet. So the welding can go to the internal of the steel-sheet and make the structure have higher performance. 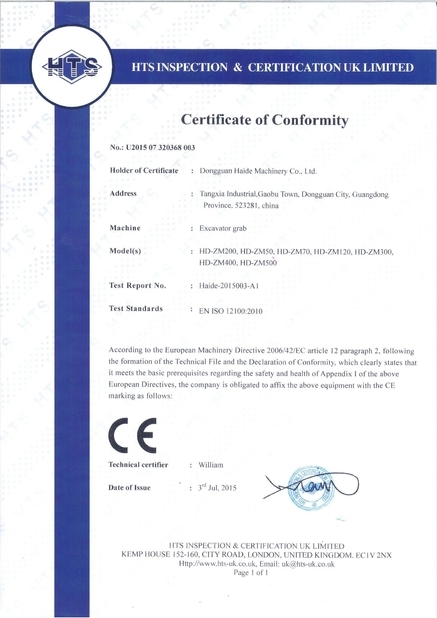 14, For all base,joint and other main structure of the long boom, we use boring machine adjust the precision after welding, to avoid the welding-stress leading to big tolerance. 16, The manufacture time about 15 days. Warranty time 6 month after installation.